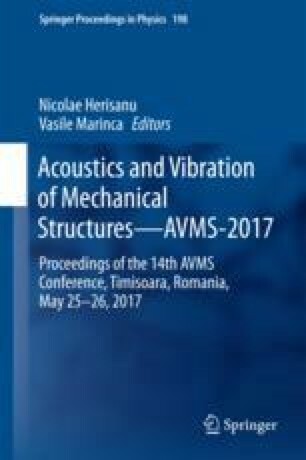 The paper aims is to present a vibroacoustic method in order to determine the critical bending speeds of a rotor assimilated to a shaft with a disc. Experimental determinations are based on signal analysis recorded with a microphone. The eigenfrequencies and the shape of their eigenmodes are determined using the Finite Element Method (FEM). Signals acquired under boundary conditions for the considered sample, with free-free ends or simple supported ends, are processed using the Fast Fourier Transform (FFT). To confirm the results the eigenfrequencies obtained using the modal analysis, with their eigenfrequencies experimentally determined are compared.